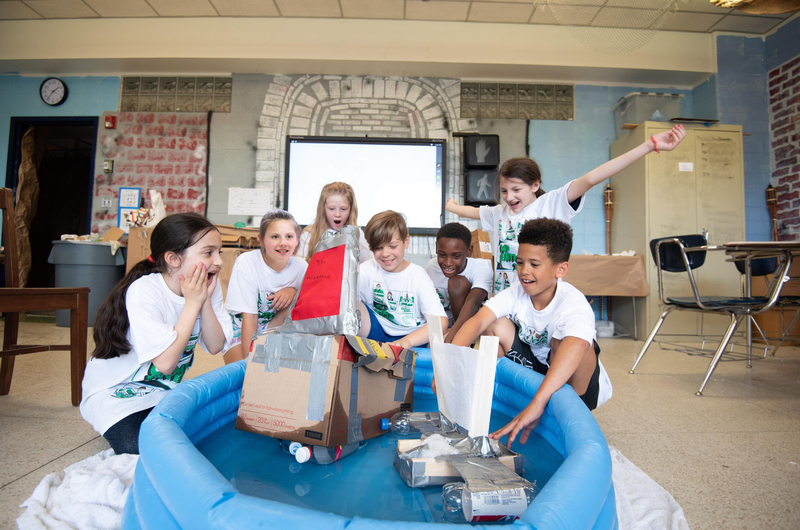 NORTH CANTON, Ohio — April 2, 2019 — The Camp Invention® program introduces young innovators to invention and innovation in a way that makes the process relatable and fun. In the new 2019 program, campers will learn ocean navigation and survival skills on a remote island, conduct mock DNA tests on farm animals, and learn to protect their own ideas and patents. And at the end of the program, each camper will bring home a personalized robot! 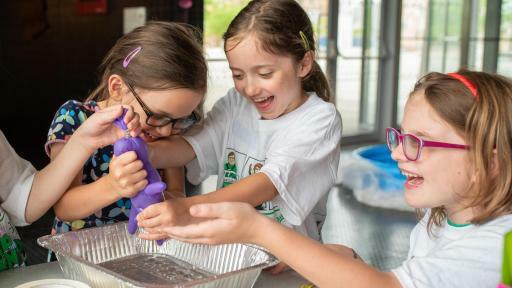 Camp Invention, a program of the National Inventors Hall of Fame® (NIHF) in partnership with the United States Patent and Trademark Office, provides a unique experience for children to learn about the importance of intellectual property while exploring, creating and designing. 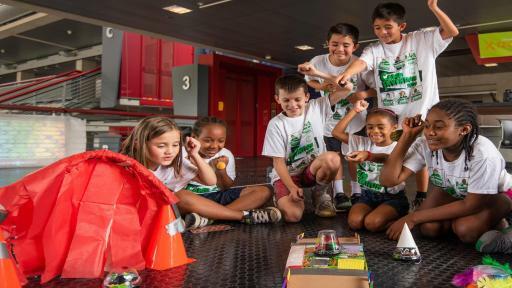 Using hands-on activities, Camp Invention promotes science, technology, engineering and mathematics (STEM) learning; builds confidence, leadership, perseverance, resourcefulness and problem-solving skills; and encourages entrepreneurship — in a fun and engaging environment. 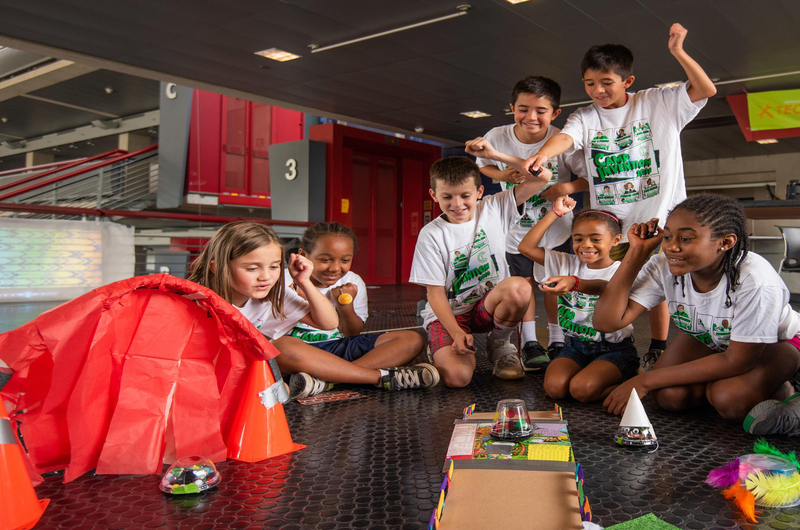 Annually, Camp Invention programs benefit more than 130,000 children and partner with more than 1,800 schools and districts across the nation. 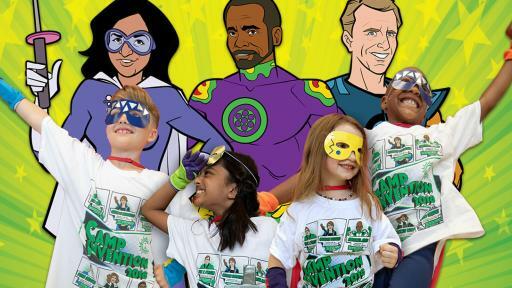 Innovation Force®: Campers team up with the Innovation Force (NIHF Inductees depicted as action-packed superheroes) to battle the evil Plagiarizer, a supervillain who is out to steal the world’s greatest ideas. As children create a device to retrieve the stolen ideas, they learn about the importance of intellectual property and the U.S. patent system. Deep Sea Mystery™: The children embark on a research adventure at sea to dig up fossils. Using lessons and advice from NIHF Inductees, they invent island-survival tools and underwater equipment. Farm Tech™: Campers are put in charge of managing their own farm as they learn the basics of running a business. With the assistance of the Bot-ANN-E robot, they learn fundamental coding techniques to maximize their time and profits. Children also are introduced to DNA syntheses, where they perform their own mock experiment to check the health of their newly purchased livestock. Local programs are facilitated and taught by certified educators who reside and teach in the community. To find a camp near you, visit our Camp Finder or for additional information, visit invent.org/camp. 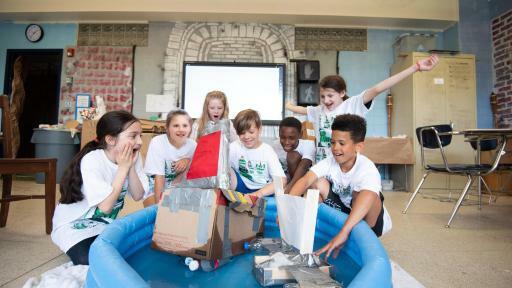 Camp Invention is the only nationally recognized summer program focused on creativity, innovation, real-world problem solving and the spirit of invention. 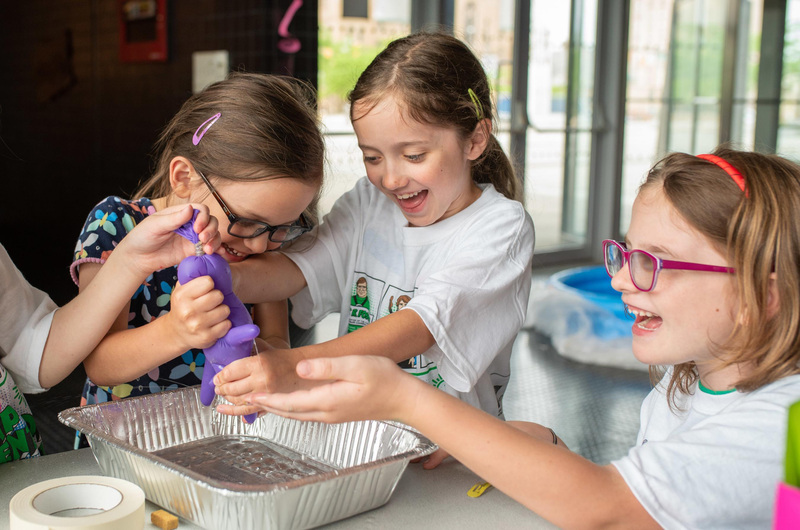 Through hands-on programming, Camp Invention encourages children entering kindergarten through sixth grade to explore science, technology, engineering and mathematics curriculum inspired by some of the world's greatest inventors. 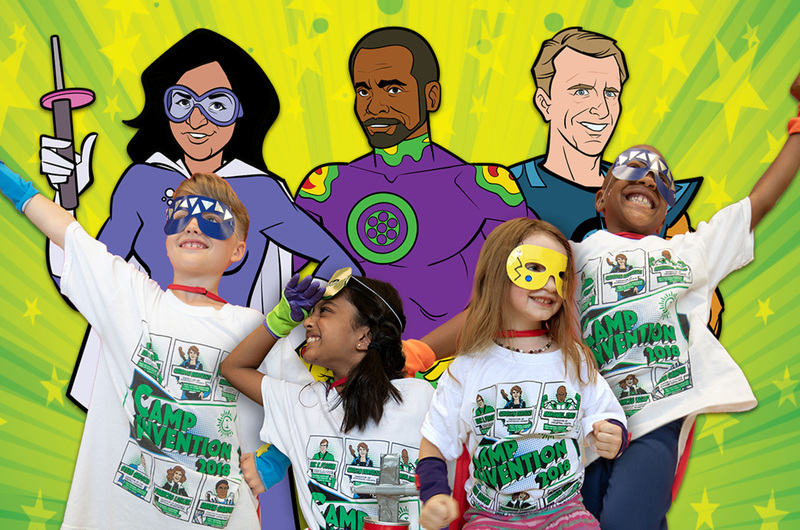 Camp Invention is a program of the National Inventors Hall of Fame. This nationwide, nonprofit organization is committed to the curious minds and innovative spirits of the past, present and future. Since 1990, our education programs have served more than 1.5 million children, and 170,000 teachers and Leadership Interns. For more information, visit invent.org/camp.